The 600cc sportbike class is amazingly popular. 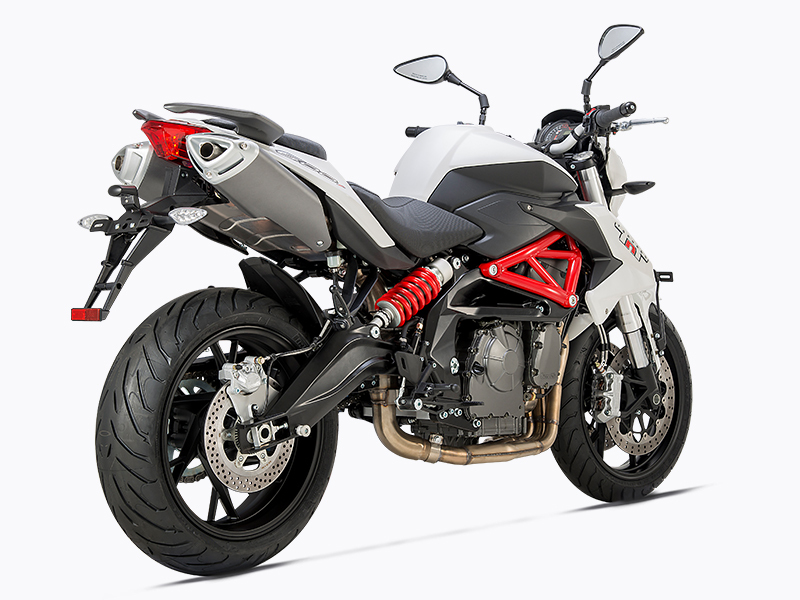 More and more, the naked style is preferred, and there is no naked machine more pure and visceral than Benelli’s TNT600I. The newly upgraded TNT600 is our most advanced 600-class effort ever. The TNT600I’s power comes from our most advanced engine, a liquid-cooled, double-overhead-camshaft inline-four with 6 speeds and 4-valve cylinder head technology that optimizes power and ride-ability. The chassis is similarly modern, with a hybrid frame of cast alloy and steel-tube trellis for light weight and ideal rigidity. 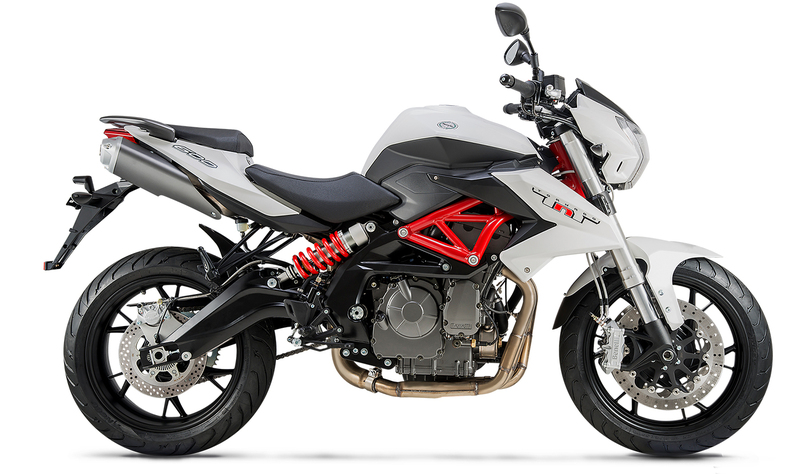 Suspension at both ends is leading edge – with a 50mm inverted fork up front, and a single shock in back mated to an alloy swingarm. Braking is amazing, of course, with race-derived radial-mount calipers up front. If you want a 600-class sportbike that stirs your soul, take a look at the TNT600I. It’s the 600 to have. An adjustable 50mm inverted fork works in conjunction with a horizontally mounted shock in back that features rebound and spring preload adjustability for precise wheel control in any situation – city, backroad or racetrack. TNT 600i comes with ABS as Standard and with Premium Pirelli radial tires offer complaint ride characteristics and maximum grip, the perfect thing for aggressive backroad riding or a day at the racetrack.